What can one say? Mike Weir starts by double bogeying the easiest hole at Pebble Beach. It can only be downhill from there. It isn’t like Aaron Oberholser played like he really wanted to win — it is just that everyone else (with the exception of Vijay Singh) played like they were looking to lose. I think more should be expected of Weir in these situations — he’s won big tournaments and should be able to step up and dominate someone like Oberholser. However, perhaps his final round score of 78 — nine strokes higher than his worst of the three previous rounds — is indicative that Weir’s game isn’t entirely back to where it was in 2003-04. Weir is now officially among the shortest drivers on tour (277 yards, 155th position), but unlike last year, he’s putting very well (8th). 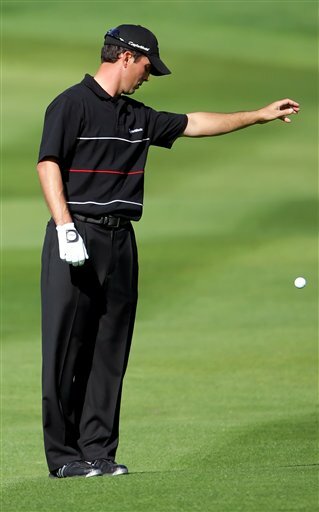 It would seem to me that his short drives are placing a lot of pressure on his putting. It will be interesting to see how it holds up over the course of the year. With putting like that, (if it holds) he will be in the money. HOWEVER, I agree the others were putting on the breaks or something. I did not really enjoy the tournament as I usually do.